And, soon it will be upon us again for 2019. 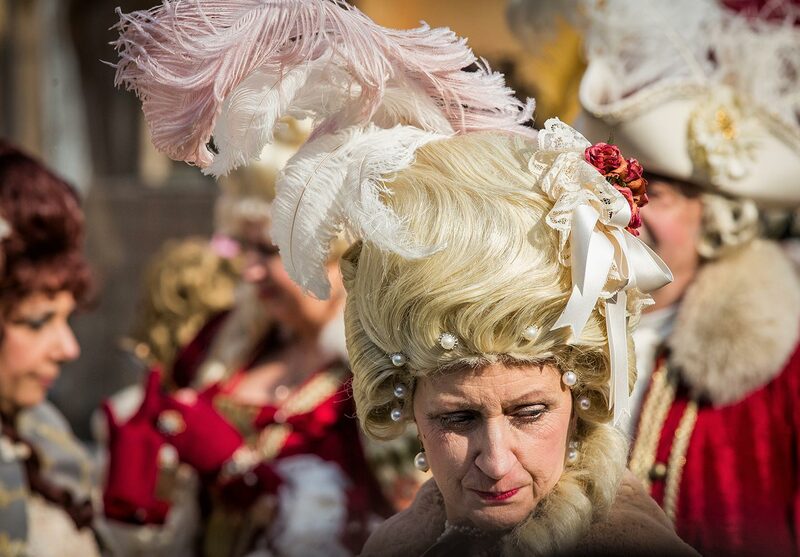 It begins just a week from today on Saturday, February 16 and the city will be awash with people clad in magnificent costumes and spectators will be pressing in from all sides. If you’re not a fan of crowds, and if you loathe being pushed and shoved, this event is not for you. But, if you can steel yourself for navigating the challenging logistics of crowd control, then you’re in for a treat that will dazzle your eyes. And this is where the real people watching begins. This is when an accomplished pair of binoculars or a worthy telephoto lens becomes your best friend. I highly encourage you to watch this excellent YouTube video which takes you as close to the event as possible without being there. I’m a huge fan of Carl Jung and his belief in the importance of shadow integration. I agree that dysfunction, neurosis, and a host of other “fractured” psychological issues come from trying to only accept the good or acceptable parts of ourselves while doing our best to carve away the less desirable and less acceptable parts. Then come along events like Halloween and Carnevale which invite people to temporarily step out of their usual personas and embody alter-egos. I believe it’s an intuitive, albeit short-lived, attempt to integrate their shadow sides—all within a sense of play. People don these ‘other” selves with great relish. As a photographer, I gobble this up and I snap away. I’m also amazed at how most people don’t shrink from my scrutiny and my camera. I wonder how many people slip back into the scenery when they don’t have the safety of the mask and when then re-enter their daily lives. So, with those musings as context, I invite you to the view a few of my favorite images from Carnevale just three years ago. I’d been fortunate enough to score a special pass into the inner sanctum, which is probably the only way I’d consider tackling it again! All images © Jed Smith of ItalyWise. I invite you to view other posts in which images have inspired multiple topics about life in Italy and life in general. And, if you haven’t already, don’t forget to subscribe so that you’ll receive email notifications of new posts. Looking forward to attending this event hopefully next year. Thank you for sharing these beautiful images. You’re visual senses will be on fire, I promise! Thanks Jed, beautiful video. You are so lucky to be able to witness Venezia at Carnevale! Thanks, Elizabeth, maybe we can do it together one year?